Industry veteran Eric Bowling brings extensive experience in customer engagement optimization to IPC and its customers. 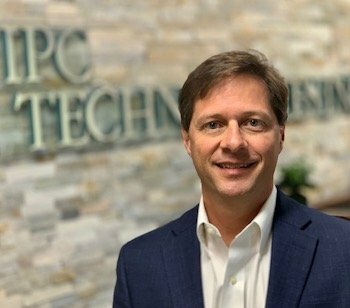 RICHMOND, Va. — Nov. 5, 2018 — Today, IPC Technologies, an industry leader in customer innovation, IoT and security strategies, announced that Eric Bowling has been named Chief Customer Officer, reporting to Chief Executive Officer Ken Banks. Mr. Bowling will be leading IPC’s client-facing functions to ensure they provide a comprehensive and differentiated end-to-end customer experience across all service areas. Bowling will also spearhead the delivery of consulting services to help IPC customers optimize the customer journey. Leveraging his experience in customer engagement and advanced workflow technologies, Bowling has a proven track record of success helping customers gain competitive advantages through a digital transformation communication model. “Eric is a dynamic leader who has a strong history of strategic thinking as it relates to driving results and leading people to deliver a successful sales and customer experience. I’m excited for the opportunity that Eric will bring to the company’s service strategy, while aligning with sales to deliver significant growth and recurring revenue in a highly competitive market,” said Ken Banks, CEO, IPC Technologies. Mr. Bowling brings more than 25 years of experience in customer innovation, consulting, cybersecurity and cloud solutions, with a proven ability to develop sales potential in new market areas. Prior to joining IPC, Mr. Bowling held leadership positions at a number of companies, including Mitel and Capital One. Eric returns to IPC from his previous role as IPC’s VP of Sales, where he accelerated the growth of the company’s current unified communications and managed service strategies.